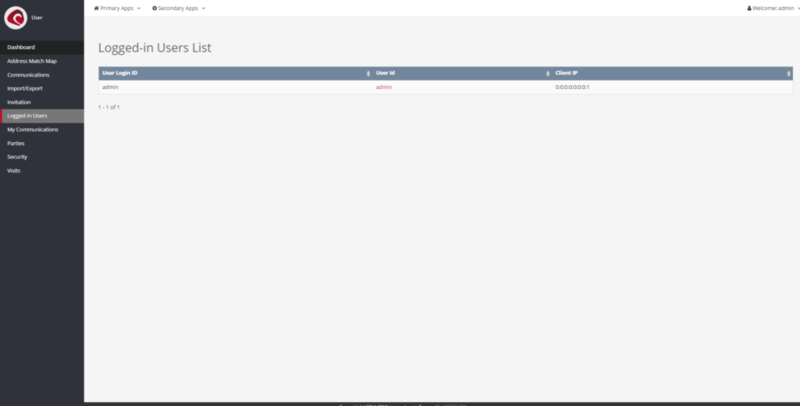 As the name may suggest, the “Logged-in Users” (“User » Logged-in Users”) screen, displays a list of all parties, currently authenticated with the system and their respective IP. This can be quite helpful in a scenario, where a customer calls the call center agent, and asks for support on a particular issue. As long as the customer can provide the call center agent with a userLoginId (his login information), then the agent can look up specific account details, or even create an order for him.